It is with the greatest sadness we have to inform you of the death of our dear friend and colleague Enda. Enda died this morning in Marymount Hospice after a short illness. Enda was known to everyone who ever crossed the threshold of the Royal Cork Yacht Club. 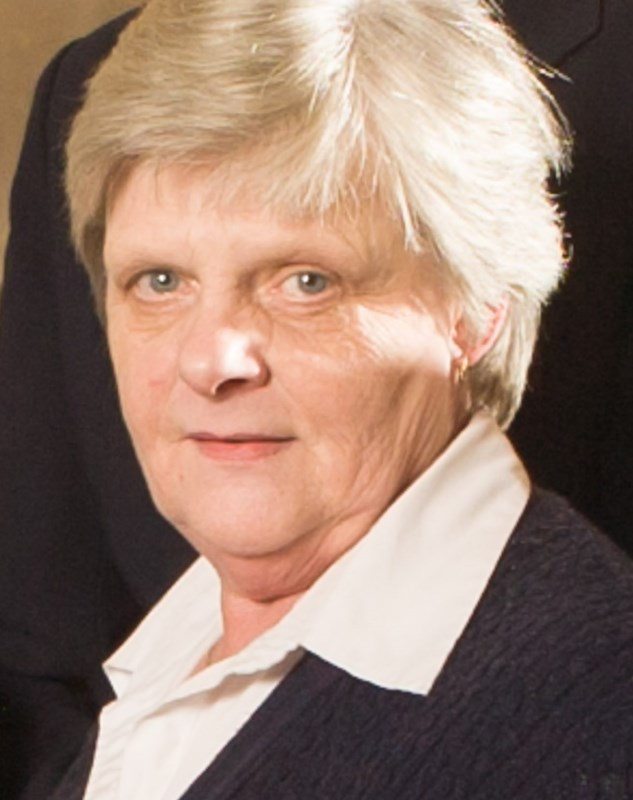 Her father Ned worked in the club bar in the 1960s and Enda continued the family tradition in the early 1970s helping her mother who also worked in the club. She will be remembered with fondness for so many things. Only Enda could cook the Tripe and Drisheen for the Stag night supper. She shared her secret recipe with very few. Her mark was made on every aspect of club life, but don’t dare ask her to walk down the marina. From frying up a breakfast for visiting sailors, to organising the table plan for the Flag Officers Dinner, Enda was the font of all knowledge. Dare to ask for a ‘window table’ when making a dining reservation, and you would soon realise where the real power in the club lay. Her ham and cheese toasties were legendary, and members and visitors rarely got past her without a dint in their wallet from her sale of club jackets, shirts or whatever merchandise was in stock in her attic hideaway. Her ‘lovely ladies’ in the bridge club and her ‘boys’ on a Monday afternoon got her special attention. Her kindness to the young sailors was quietly done. Lunch money given, bumps kissed better, plasters on bleeding bits. Enda’s generosity knew no end and the thousands of cardigans she knitted for newborns were legendary. So many stories can be told, and the void she has left can never be filled, but she will be remembered with the greatest affection by colleagues past and present and past flag officers that she controlled whether they knew it or not.